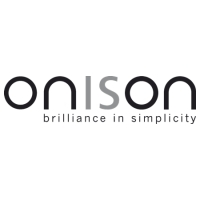 Onison Corporation provides unparalleled digital asset management tools that enable users to easily protect, share and manipulate their files. Our latest web-based drag and drop technology is intuitive and exceptionally user friendly. As the only DAM vendor to offer drag and drop capabilities, ImageDirector has established a global presence and continues to develop cutting edge technology. Onison's Application Services are in use by some of the world's largest organizations. They have been deployed to more than 18,000 clients world wide and have proven to be a powerful tool that has increased productivity while reducing costs.